Each spring, Arizona public schools administer a statewide achievement test to students in grades 3–12. The AzMERIT (Arizona’s Measurement of Educational Readiness to Inform Teaching) test results are released each fall. 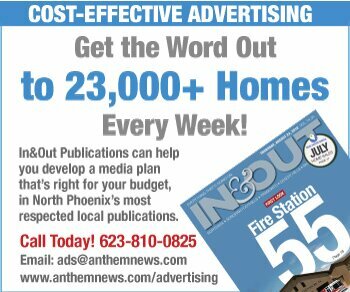 We compile and analyze the results for schools in North Phoenix. Here are the most recent results, from 2018. OCT. 24, 2018 —The results are in for the latest statewide school achievement test, and a mere 41 percent of Arizona students passed math and reading. (The test was designed to be stringent. Read more here.) It was the test’s fourth year—and the final one for some schools. Under a new state law, districts and charters can opt for other standardized tests like the SAT instead. 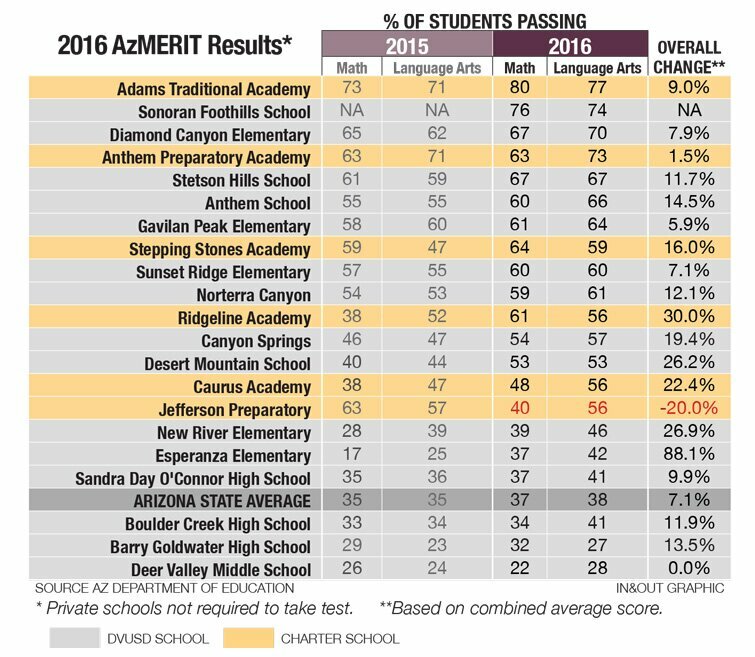 Scores on AzMERIT rose for most area schools in 2016 compared to 2015, the first year of the test. The statewide average also inched up, yet less than 40 percent of the state’s students passed language arts and math. All but two area schools performed above the state average in 2016. Notably, performance was up in five of the six area charter schools, with Ridgeline Academy logging a 30-percent improvement over 2015 scores. 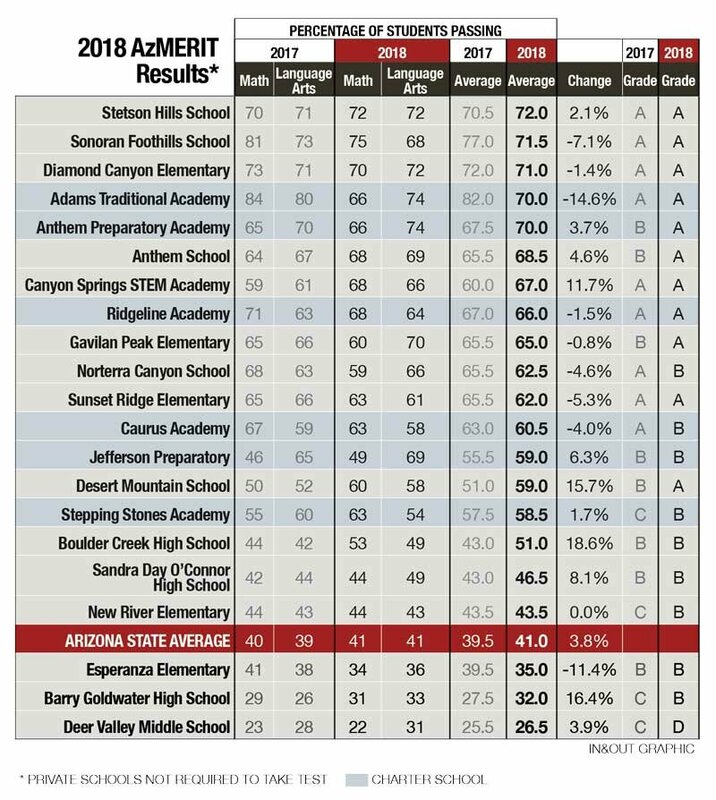 In DVUSD, all area schools saw an increase in scores. DVUSD Deputy Superintendent of Curriculum Gayle Galligan attributed much of the success to professional development geared toward the Arizona College and Career Ready Standards.